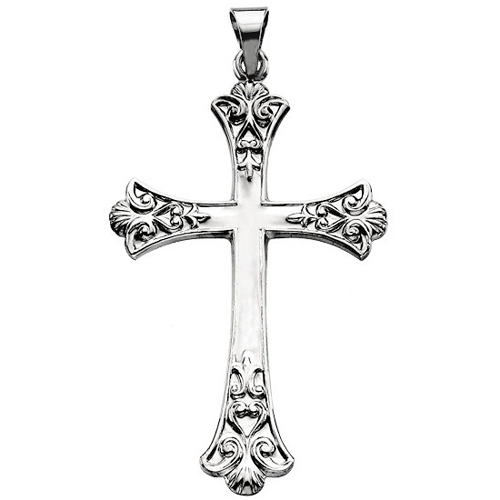 Polished platinum fleur de lis cross is larger than a half dollar. Dimensions: 38x26mm. Weight: 3.55 DWT (5.52 grams) Please note: weight is approximate, actual weight may vary. Chain not included.